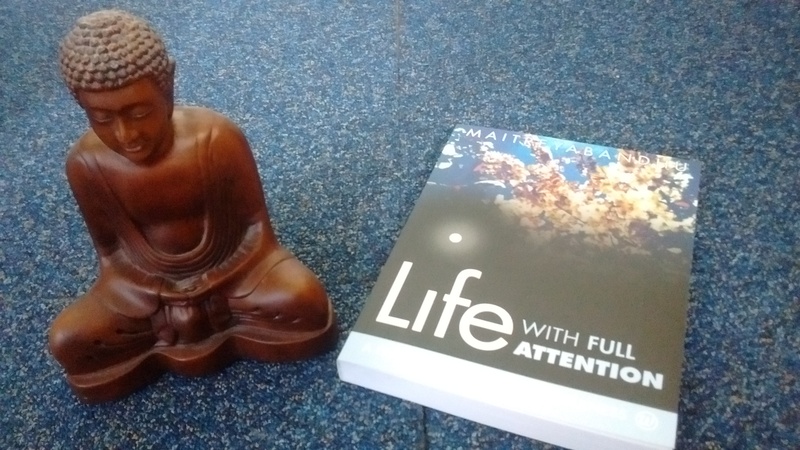 Starts at 7.00 p.m. Finishes 9.15 p.m.
Join us for an 8-week exploration of mindfulness for people exploring Buddhism. It’s based on the book by Maitreyabandhu, Life with Full Attention. On the course we’ll explore different aspects of mindfulness such as awareness of the body, feelings, thoughts, and the environment using different practices. The course is suitable for newcomers and for people already practising Buddhism or mindfulness. You are welcome to come whenever you can. You will gain more, the more classes you come to. Cost: These classes are run on a drop-in basis and there is no charge. However the centre relies on the generosity of the people who use it. If you can, please help us to make mindfulness, meditation and Buddhism available to everyone by putting a donation in the dana bowl or by taking out a regular standing order to support the centre.